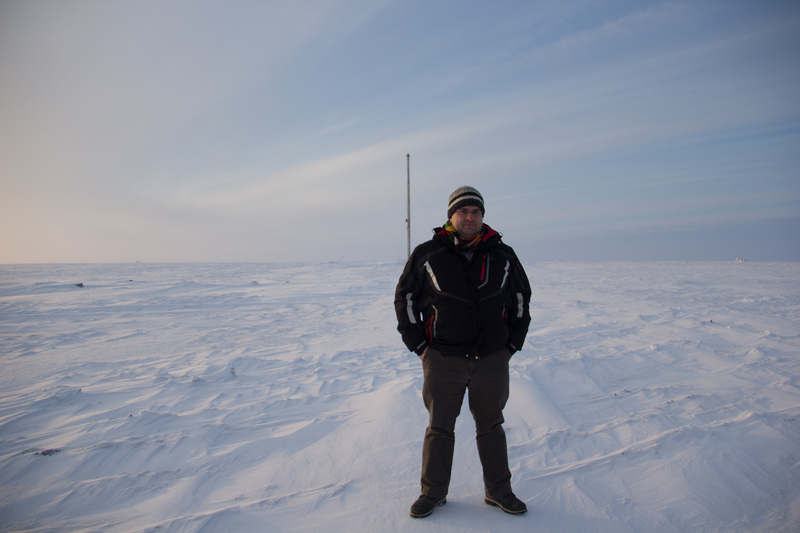 In Barrow, Alaska, where I am now, hunting and guns are an integral part of daily life. I’m at Point Barrow, Alaska, here. This is the northernmost point of the United States; although in winter, if you’re not an expert, it can be hard to tell the snow and ice covered land from the snow and ice covered Arctic Ocean. It was -33C out. My first day in Barrow I dropped a pretty penny to get a guided tour up to the northernmost point of the United States. My awesome tour guide showed me around town, took me past the (only) gas station (north of $7 a gallon), past the high school football field (did I see it? I saw where it is – but the snow and ice is rather deep this time of year, so no, I didn’t), past the college, and then off the road and onto the Arctic Ocean. He told me a lot of interesting stories – and it became readily apparent to me that he’s a hunter: whale, bear, and ducks, to name three components of a much more widely varied diet than I have back in Berlin. He even said that the quality of hunting is one thing that he loves about living in Barrow. After a quick spin around the local grocery store, it dawned on me that I too would be a hunter if I lived in Barrow: food prices in the supermarket here are eye-wateringly high, while hunted food comes at an advantageous price. My arrival in Barrow and exposure to the hunting lifestyle is not without personal precedence: earning my BA and MA at the University of Wyoming exposed me to people who hunt – and who eat the meat. After six years, I arrived at a place where I despised trophy hunters but am fine with people who eat the animals they hunt. 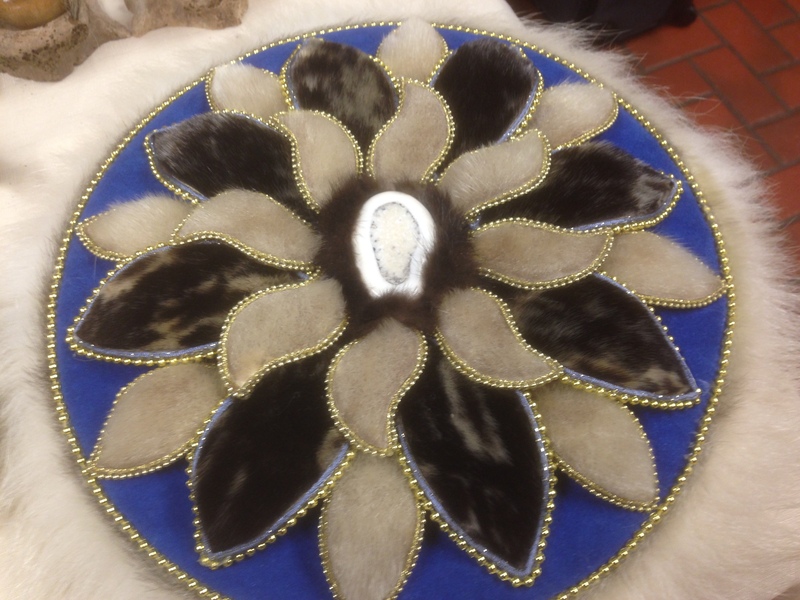 Various animal skins, including seal and polar bear, along with ivory, make up this piece of art. It’s made of skins of several animals, including polar bears and seals. It also has ivory in it. It is, in a word, a gorgeous piece of art that had a price tag of a mere $250. But here’s the thing: It fits perfectly into the Alaska lifestyle. It wouldn’t garner a second glance in Wyoming. I could probably even hang it in Denver – and, assuming I have decent, globally thinking, friends, I could probably even hang it in New York City. But I don’t think I could hang it in Berlin.